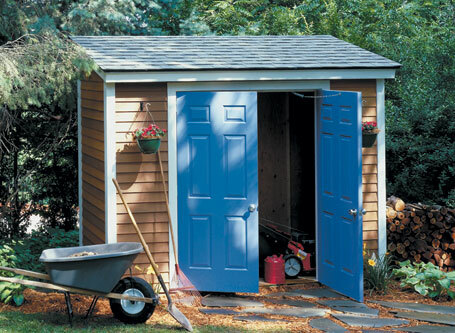 Storage for your lawn mower, snow blower, garbage cans, recycling bins, plus all your garden tools and supplies. 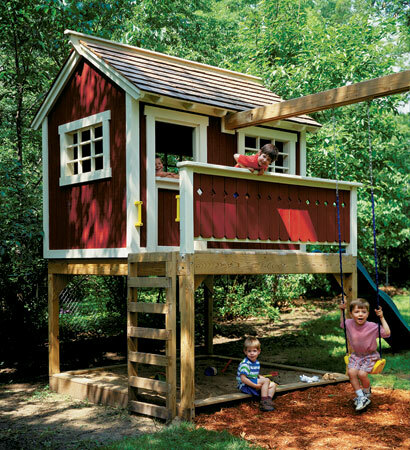 It even includes 42 square feet of additional loft storage space. 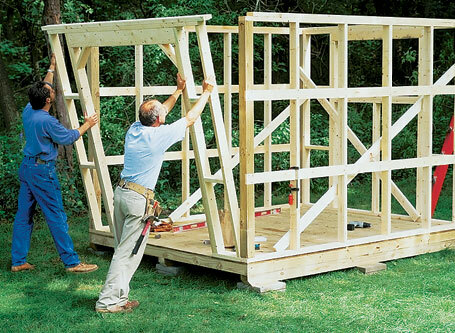 Dimensions are 98½" (W) x 121½" (D) x 123½" (H). 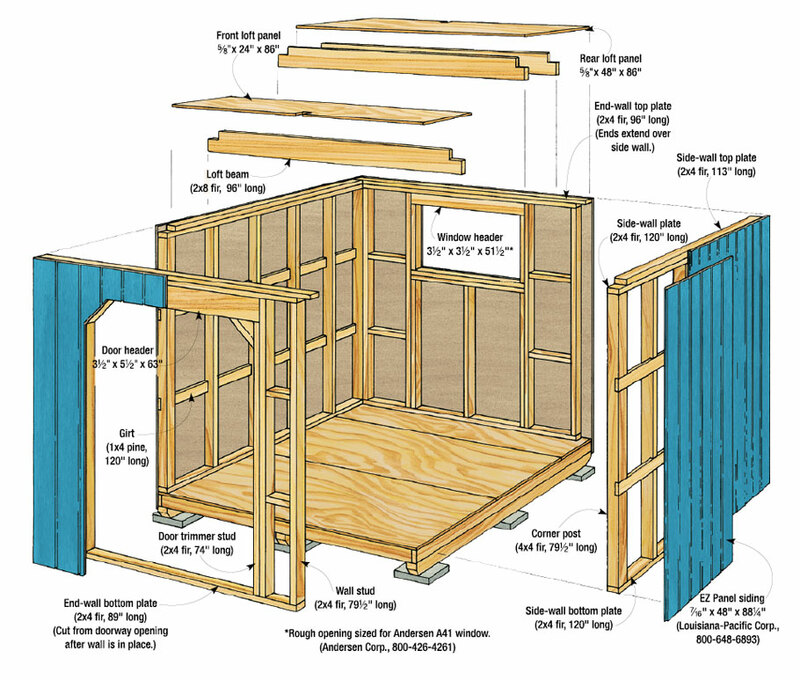 Features standard 2x4 wall framing and roof construction. 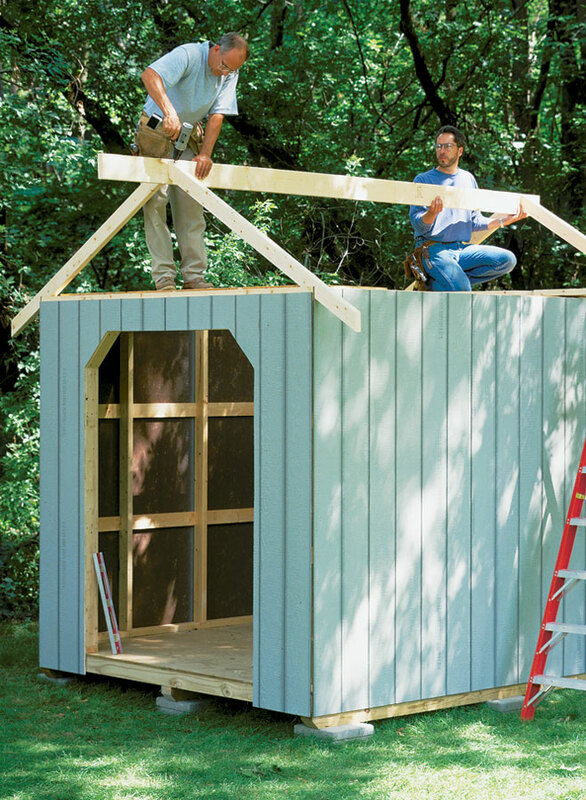 We'll take you step by step through framing the walls, cutting the rafters, installing the roof shingles, and adding the door and windows. 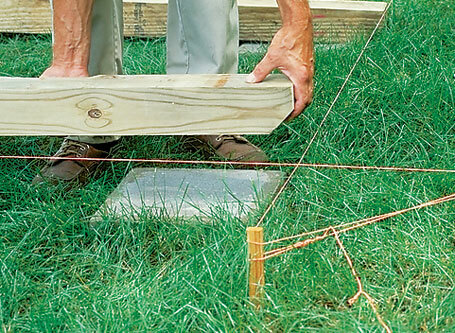 Also includes plans for a ramp and a built-in workbench.